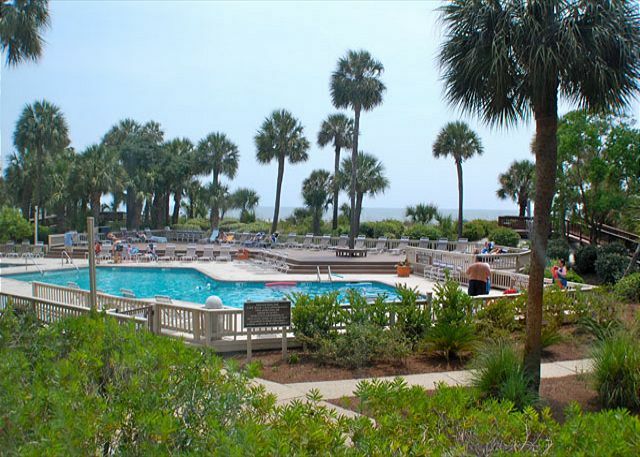 Oceanfront recently redecorated 2 bedroom, 2 bathroom Palmetto Dunes villa with a fun, beachy feel. From the 1st floor, everything is easy to get to and no need for the elevator! 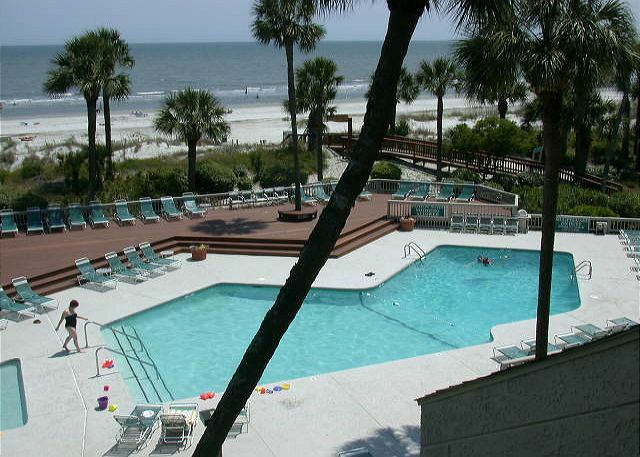 You can't ask for more convenience than being able to walk from your patio area directly to the pool and ocean. The private patio is also the perfect spot to listen to the soothing ocean waves. The updated kitchen offers a colorful backsplash while the dining area has seating for 6. You will find a new queen sleeper sofa, love seat, and flat screen television in the spacious living room. The king master suite includes a full bathroom with private access to patio overlooking the gardens and ocean views! The 2nd bedroom has double beds and shares access to the full bathroom with the hall. The incredible oceanfront views and the lush surrounding grounds make this oceanfront complex perfect for your next family vacation.